For Patients/Families | Hospice of Morrow County, Inc. The best time to consider hospice care if BEFORE you or a loved one is in a medical crisis. Getting proper hospice care for yourself or a loved one should be as important to the agency you choose as it is to you. With Hospice of Morrow County, Inc., patients get specialized care with pain relief, symptom management, emotional support, spiritual support and psychosocial intervention. The focus is comfort, pain relief, and quality of life. Hospice concerns people’s needs, values, and choices when a cure is no longer a reality, or they have chosen to no longer seek aggressive curative treatments. Our hospice understands this may be a difficult and stressful time. We help reduce stress for patients, we care for the caregivers, and we support family members. For hospice, nurses and other staff members pay close attention to improving a patient’s quality of life and help relieve any caregiver stress. A multi-disciplinary team – doctor, nurses, aides, social workers, chaplain, bereavement counselors and volunteers – works together to assist with the physical, social, emotional, and spiritual needs of each patient and family. 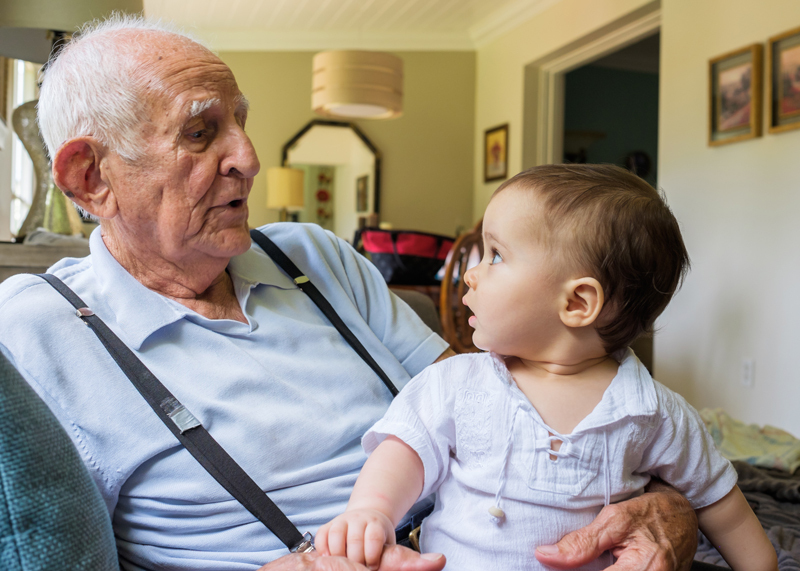 Patients receive care in their own homes, a hospital, or a nursing facility regardless of their age or ability to pay. We bring in – and cover the cost of – medical supplies, equipment like oxygen and hospital beds, and medications and treatments related to the terminal diagnosis that qualifies a person for hospice care. Services provided include nursing visits as needed, personal hygiene and bathing by hospice aides, and visits and services of our social worker, chaplain, and volunteers. There are similarities and differences between palliative care and hospice care. Both take an interdisciplinary approach with a patient and family focus. Both emphasize communication and focus on symptom management with improved quality of life as their main goal. However, palliative care includes care of chronic illnesses where curative therapies are still pursued with no time component. On the other hand, hospice care is best for those patients no longer seeking curative therapies and who are certified by a physician to have a terminal illness with a life expectancy of one year or less (6 months or less for Medicare patients). Respect for the value and dignity of each man, woman and child is consistently demonstrated. The focus is on comfort and relief from both physical and psychological pain. Attention is given to living each day as fully and meaningfully as possible. The emphasis is on quality of life rather than length of life. Regularly and as needed, there is hands-on care from our nurses and hospice aides. On-call assistance and support are available 24 hours a day, 7 days a week, and 365 days a year. Financial and emotional counseling for the patient and family members are provided whenever needed. Spiritual help is offered and, when appropriate, will be coordinated with other clergy. There is grief counseling and bereavement support for family members and friends for at least 13 months following the death of a loved one. Consultation and updates to a patient’s personal physician. We encourage our patients to continue to visit with their own doctor as long as they can. Care in the patient’s own home, a family member’s home, a nursing facility, assisted living facility or a hospital. Medications, medical supplies and equipment, as needed, according to the Hospice plan of care and related to the terminal diagnosis. A nurse for regularly scheduled visits. A nurse on call 24 hours a day, 7 days a week. Certified nursing assistants to help with personal care of patients. A skilled social worker to assist with patient and family support. A chaplain to offer spiritual guidance and support when wanted. Supplemental therapies such as physical therapy, occupational therapy and speech therapy as needed. Volunteers who offer companionship, family support and friendship. At least 13 months of bereavement care and grief counseling to loved ones. Once a patient has elected the Hospice Benefit, all charges related to the terminal illness that are included in the Hospice Plan of Care, become the responsibility of the Hospice. The Hospice Interdisciplinary Team consists of Registered Nurses, Social Workers, Certified Hospice Aides, Volunteer Coordinator and Volunteers, Spiritual and Bereavement Counselors, Medical Director (Physician), and Pharmacist. You can elect the Hospice Benefit wherever you live, be it at home or a nursing facility. The admission criteria for Hospice is a life expectancy of 6 months or less, yet many patients are in hospice care for more than 6 months. If a patient’s condition improves while receiving hospice care they are discharged, or “graduate”, from hospice care. However, we will call and check in as often as necessary to be helpful whenever we can. You can keep your private physician and still receive Hospice care. You can revoke the Hospice Benefit if you change your mind. The Medical Director at Hospice of Morrow County Inc. makes home visits. Medicare and Medicaid cover the full Hospice Benefit for you with no “out of pocket” expense. We treat all patients regardless of their ability to pay. We offer grief support groups that are open to anyone in the community who has suffered a loss. Knowing when to call and choosing the right Hospice is important. We understand the need to help patients through this decision making process. For more information about our Hospice visit our Frequently Asked Questions. Who makes the first call to hospice? Doctors, nurses, social workers, pastors or ministers can refer people to hospice care. Sometimes a family member or patients themselves call hospice when they have a life-limiting illness or when they choose comfort and quality of life over aggressive curative treatments. Our professional staff is always ready to speak with you. Ask your doctor if hospice is right for you or a loved one, or call us at 419.946.9822. It’s your choice. You have the right to choose any Medicare-certified hospice agency. Your doctor and/or case manager should respect your decision and may provide you with a list of agencies in your area or ask for us by name. If you are unhappy with one agency, you have the right to choose another at any time. Be sure to let both agencies know so they can coordinate the change. Hospice of Morrow County, Inc. has been serving Morrow County and the surrounding area since 1991. We are Medicare- and Medicaid-certified and licensed by the State of Ohio. In general, our hospice services are covered with little or no out-of-pocket expense under the Medicare hospice benefit, the Medicaid hospice benefit, the Veterans Administration, and most private health insurance plans. Ask us for a list of individuals who are familiar with our reputation such as physicians, discharge planners, and community leaders to help assess the quality of our services. You may even wish to ask your family, friends, and neighbors about us. Our reputation and community support sustains us as an independent quality non-profit organization. When care counts most, you can count on us. Hospice professionals offer specialized knowledge and support near the end of life. Each person’s needs are unique and our specially trained staff takes into account these unique needs and offers recommendations for managing symptoms such as pain, constipation, anxiety, shortness of breath, nausea, vomiting, restlessness, skin problems, and more. Non-medication solutions are offered that may aid in comfort and stress relief such as spiritual and emotional care from our trained chaplain(s) and medical social workers. Our goal is to provide pain management and symptom control so patients can have quality of life and live as fully and comfortably as possible whether it is a few weeks, months, or even longer. To qualify for hospice care, the illness must have a terminal prognosis of one year or less if the illness continues its current progression (6 months for Medicare). Under hospice care some patients actually improve and are discharged from hospice care. And, if you choose hospice, you can change your mind at any time and discontinue our care if that is your wish. Let our professional staff help you with end of life care. Once you choose a hospice agency contact with your physician is made. The admission process starts the same day you are referred to us at your convenience, day or night, 7 days a week. A nurse will come to your home to do an assessment and ask questions about your medical history as well as answer any questions you may have about Hospice care. From this information a plan of care will be developed with you and your physician. The plan of care specific to your needs will include the services you will receive, how often, and your goals and objectives. Every hospice patient has access to a registered nurse, social worker, home health aide, bereavement/spiritual counselor, and hospice volunteer. The frequency of visits from each of our hospice team members depends on the need of the patient and family. As needs increase, so do the visits. Our team is here to assist you in completing any unfinished business or end of life tasks that are important to the patient. Communication is important to us and you always retain control of your care. When you need us, we are there. Whether the conversation is between the patient and doctor or patient and family, we understand that talking about end of life care, particularly hospice, can be difficult. Many people believe that Hospice is only for the last few days of life, when in reality hospice care may begin sooner. Much of the feedback we receive is that the family and patient wish they would have contacted Hospice earlier. Quality of life is the goal of hospice care. We help manage pain and symptoms physically and give comfort emotionally and spiritually. The hospice benefit is covered 100% by Medicare and provides services to help deal with advanced illness. The hospice benefit includes prescriptions, equipment and supplies related to the terminal diagnosis. You can keep your own primary care doctor. Hospice provides spiritual and emotional care to the family as well as the patient, and continues bereavement care for 13 months. Most hospice patients have a “do not resuscitate” (DNR) order but it is NOT a requirement. It is a personal choice. You can discontinue hospice care if you change your mind at any time. 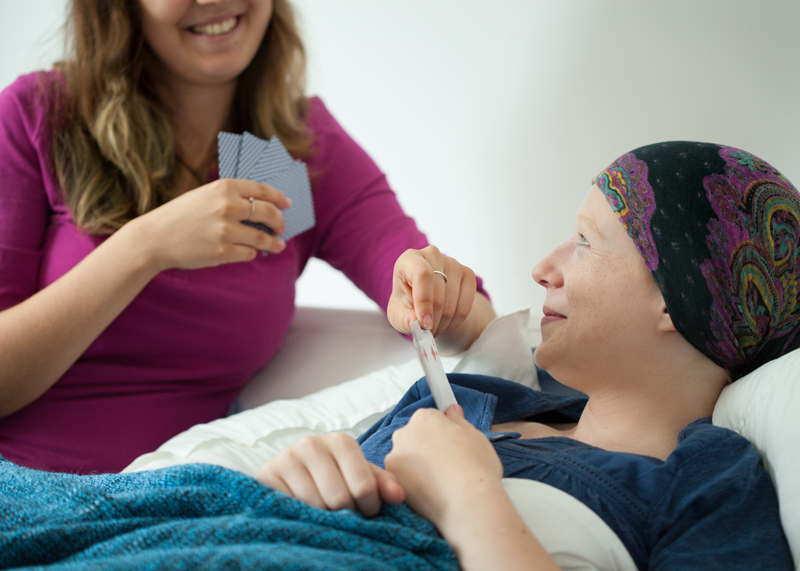 The hospice patient’s desires and wishes are a priority when developing their plan of care. Although hospice admission criteria requires a life expectancy of one year or less (6 months or less for Medicare), many patients live longer. Our staff will be happy to discuss hospice care with you, your family, and/or your physician at any time and answer any questions or concerns you may have. Contact our office for more information. When aggressive treatment is no longer an option or when the focus is on managing pain and symptoms and no longer on a cure. Most often the patient refuses further curative treatment or continues to decline despite therapy. Patients face constant changes in mobility, breathing, and feeding. Breathing capacity shows signs of critical impairment. ALS shows signs of rapid progression causing nutritional impairment. ALS is often accompanied by aspiration pneumonia, sepsis, upper urinary tract infection, and recurrent fever. Patients suffer physical as well as emotional pain. Hospice controls symptoms thereby improving quality of life for those with advanced dementia and Alzheimer’s disease. Patients at or beyond Stage 7 of the Functional Assessment Staging Test (FAST) and the illness has a prognosis of 6 months or less qualify for Hospice care. Include end-stage heart disease with conditions that support a terminal prognosis, such as recurrent congestive heart failure (CHF), and angina pectoris when invasive procedures are declined. Usually the patient has become resistant to other therapies that control the illness and thus restricts physical activity. Includes severe chronic lung disease accompanied by disabling shortness of breath, and often fatigue and cough, also known as end-stage COPD. Uncontrolled respiratory distress requires immediate attention and Hospice can provide that attention and more. Sickness, wellness, strength and recovery are unique for each individual. It is true some hospice patients improve, become stronger and no longer qualify for hospice. We believe death is a normal process of life and everyone’s passing should be as peaceful, dignified and respectful as possible. We support our patients and families physically, emotionally, socially and spiritually according to their desires. We help each person get just the right amount of care and attention needed to enjoy life, reach their own goals in their own way and live the best quality of life possible. Most people know that hospice is about end-of-life care. Hospice focuses on caring, not curing. But, hospice does NOT mean you are giving up. It is a reprieve from the discomforts of curative treatments. Many patients live longer than expected once they are more comfortable and after pain and symptoms are better managed. Some patients recover enough to leave hospice care and resume curative treatment. Patients always have the right to leave hospice care and restart curative treatments at any time as the process is controlled by the patient’s needs and wishes. As with most things in life, quality is far more important than quantity. Most people agree with this statement. When faced with difficult and emotionally intense choices at end-of-life, remember that hospice has always been about living not dying. Many individuals believe that hospice is all about dying and that it is only needed in the last few days of life. In reality the hospice philosophy is about quality of life. Some statistics show that persons with a terminal illness actually live longer on hospice care than those who do without. How can this be? This is because hospice offers holistic comfort care both physically, emotionally and spiritually. Our nurses and physician offer expert pain and symptom management. Our social workers help with end of life tasks, including financial and legal issues or even “bucket list” activities. 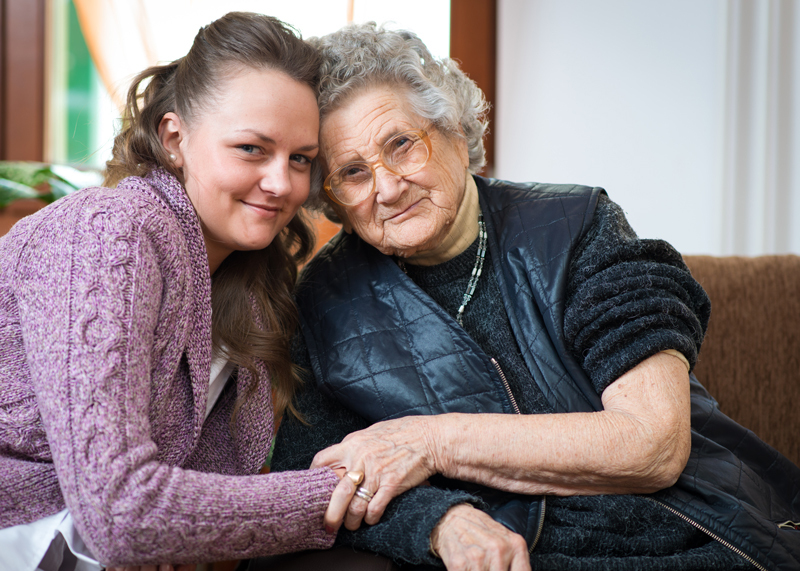 We have experienced hospice aides who help with personal care of the patient. Our chaplain addresses spirituality, in whichever form it takes, and coordinates with your own clergy if requested. The entire hospice team is here to teach and assist the caregiver in promoting quality of life and a peaceful death. Quite often our families say, “Why didn’t we call hospice sooner?” This is because of the services we offer and the fact that we develop individualized care plans to meet all of the needs of the terminally ill patient. It takes time to refine and accomplish all of the goals and objectives addressed in the care plan. Hospice neither hastens nor prolongs death. Hospice opens to door to opportunities to live more fully until you die. After all, death is a natural part of life that can be honored and valued. So, when a cure is no longer a possibility, the illness is progressing, and aggressive treatment is no longer the patient’s choice, choose Hospice care. Accepting hospice care does not mean a person is “giving up”. It means they are accepting the change from curative treatments to learning to live with the illness. The hospice philosophy focuses on living, not dying. Hospice is about making good use of your remaining time, regardless of the length. There is an unfortunate aversion to the concept of hospice care which historically has resulted in patients being on hospice care for very short periods of time. Because hospice care uses a holistic approach patients and families can benefit from physical and emotional support sooner for a better quality of life. Sometimes the patient is ready for Hospice and the family is not. This is the time to discuss the patient’s wants and needs, and address fears and concerns. If the patient decides to discontinue curative treatments and choose Hospice, the family is invited to respect and honor these wishes. Hospice care is designed to meet the needs of the patient with individualized care plans while inviting patients and families into the process. While the patient has the final say regarding their wants and needs, the family and caregivers are equally important and need support, education and reassurance. When a family comes together in support of their loved one a sense of unity, strength, and healing emerges. Instead of spending time running to medical appointments, time is spent on other things, such as spending quality time with your loved one, taking care of unfinished business, righting wrongs, or even “bucket list” activities. Hospice offers support not only physically but emotionally and spiritually, and addresses relational and financial concerns as well. Determining how to pay for hospice care is one of the first things patients and families are concerned with. Hospice is paid for most often by Medicare, Medicaid, and Veterans benefits. Private insurance companies offer a wide variety of hospice coverage which may or may not include copays and deductibles dependent upon the level of coverage. Because we apply for and receive special grants to help us cover the costs of Hospice care we can and do accept patients who are without any financial resources or insurance. We offer all of our services regardless of ability to pay. We are here for all residents of Morrow County and the surrounding area regardless of financial status or insurance availability. If a patient and family have financial problems associated with the burden of the illness or end-of-life planning our social worker can help make sure all possible local and financial resources are available. The Hospice Benefit covers anything directly related to the diagnosis that is the qualifier for hospice care. This includes medications, medical equipment and supplies, nursing and aide services, supplemental therapies, and social work and bereavement services. The Hospice Benefit does NOT cover treatments intended to cure your illness, medications NOT directly related to your hospice terminal diagnosis, care from another provider that is the same care that you are getting from your hospice, and nursing home room and board. The Medicare Hospice Benefit is covered under Medicare Part A (hospital insurance) with no out-of-pocket expense. The Veterans Hospice Benefit mirrors Medicare as long as you are referred to our hospice by the Veterans Administration physicians. Our knowledgeable staff can contact Medicaid and private insurance companies to determine any applicable out-of-pocket expenses that you may incur. Again, we provide services regardless of your ability to pay and our social worker will work with you to determine your financial need. When a resident of a nursing home elects to receive hospice care, there are many advantages and no additional cost to the patient or family. As our hospice patients, your loved one gets extra attention. Our nurses, volunteers, social worker and chaplain work alongside and in coordination with your resident’s regular nursing home staff. When family members decide to enroll a resident as a hospice patient, the patient receives extra attention and companionship. The pain management and special comfort needs are given special importance. With hospice care, the patient in a nursing home or assisted living facility gets all the usual and traditional hospice benefits such as extra time with our hospice aides and nurses, consultation with our medical director, services from our chaplain and social worker, and visits from our volunteers. Family members find assurance that the resident is getting extra attention and that our hospice personnel will help them through times of stress, difficulty and grief. Hospice aides give personal care, for example; skin care, manicures and haircuts. Volunteers come regularly to sing or play music to our patients or to talk, listen, read aloud or play cards – whatever kind of companionship is desired by the patient. To optimize pain relief and to improve around-the-clock comfort, the nurses from our hospice consult with the patients’ doctor and with our own medical director. By giving added attention and by working cooperatively with the facility staff, our nurses can improve quality of life for residents. Friends and family members are at times pleased by changes they observe in a resident’s condition when the choice is made to become a hospice patient. Our nurses come to a nursing home, hospital or assisted living facility, night or day, when needed for pain management, comfort care and symptom control.